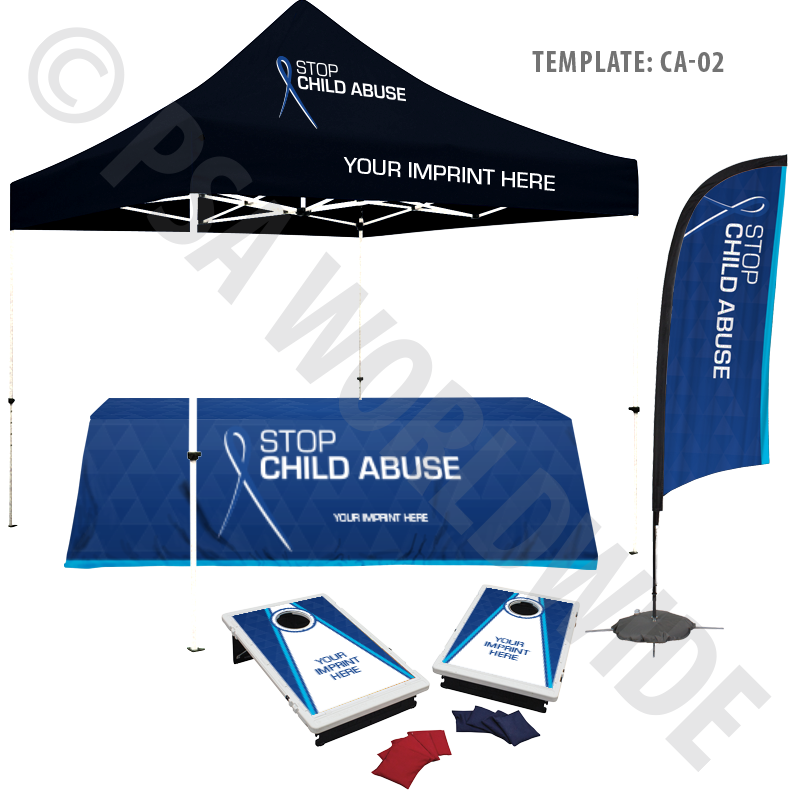 Attract attention and look great at any outdoor event! 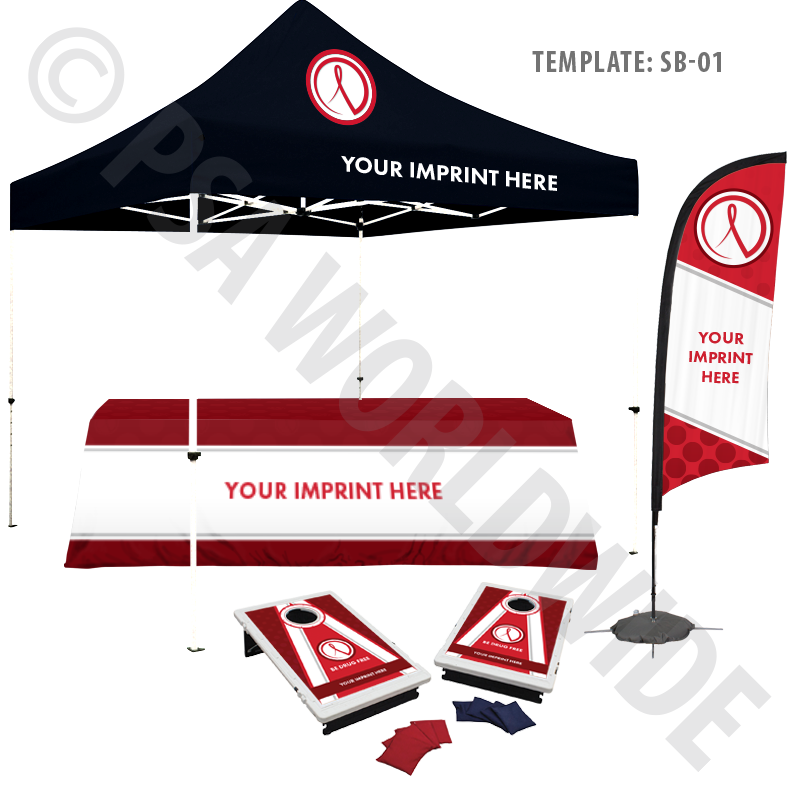 Kit includes a 10' square pop-up tent with a two-location imprint, a full-color convertible table throw, a 9' blade sign and a bag toss game for booth entertainment. Production Time: 7 - 30 Working Days.